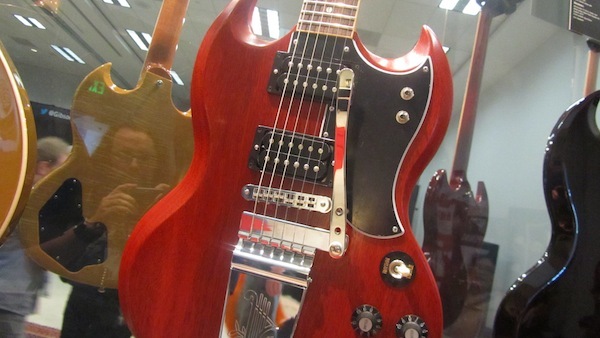 I realize the pickups are uncovered, but I think I could learn to live with that. And, ooh look, MINI TOGGLES!! If you have any interest in Frank Zappa, Kill Ugly Radio is a great resource for news, information and gems like this – young female musicians attacking and conquering The Black Page – easily one of the hardest Zappa drum parts in the entire repertoire. Check out the whole post (with more video) at Kill Ugly Radio. I am not a fan of iTunes. I am not a fan of their growth through their overbearing means by which they have a reduced value of music. First, they taught everyone how to steal it and then they said,” Oops, sorry here’s how you can pay for it really cheap!” So you know, I’m not a fan of that and I’m not a fan of price-fixing, which is something they do. You don’t have a lot of choice in what you can offer and how you can offer it. I mean they just have rules and I understand that it is probably just a by-product of some of their programming issues but there should be other choices. I believe that the future is that there will be other choices and they will be on every artists own fan site or a conglomerate consortium of artists’ fan sites that’s not controlled by an outside party that does not respect artist’s rights. This is from a recent interview that was linked by the fantastic Kill Ugly Radio blog. Go there for more quotes and a link to the whole. Gail rocks! Does this LOOK like a jam band? Let’s not worry about ‘prog-rock’ for a minute. I’ve no real beef with the label. Labels can be helpful, they can even be necessary. Certainly ‘jam band’ is a label. But if you’ve decided to use a label (and I am talking about you), then it’s absolutely essential to realize the infinite variety that can exist within any grouping that may share a single characteristic. There’s a lot of different kinds of prog out there. There’s a lot of different kinds of jam bands too. 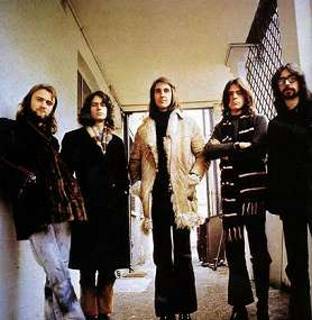 So, with all that out of the way, let’s get to the topic du jour – Genesis. Here’s an easy one, an absolute, something you can hang your hat on, unchanging, objective reality. Gabriel-era Genesis was not a jam band. Many other popular bands from 1970 through 1975 conducted sonic explorations that happened right before the audience’s very eyes. They threw caution to the wind and ventured into the world of improvisation where anything could happen. And such behavior was not limited to the Grateful Dead and the Allman Brothers, although those are two fine examples from the era. 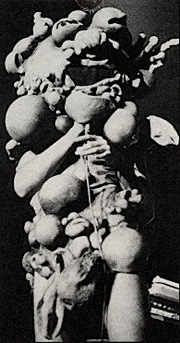 Even real prog bands would strip themselves naked of any script or predictability and just see what happened – King Crimson is a perfect example. As Miles Davis was bringing elements of rock into jazz, bands that improvised were really bringing elements of jazz into rock. Zappa would use his entire ensemble (and sometimes an audience) as an instrument and conduct noise to tell the story or make the point. In the earliest parts of this period, Syd Barret-era Pink Floyd experimented with music/noise to match their groundbreaking visual show. One of the most important aspects of improvised music is the relationship (or lack thereof) between the players. Ideally, great improvisation happens when the group all know one another so well that they can basically read each others’ minds. The result is that classic moment of the whole becoming a unit that is greater than the sum of its parts. Its a cliche, but in this case, it is true. On the other hand, jams can become much more interesting by the presence of a destabilizing influence. 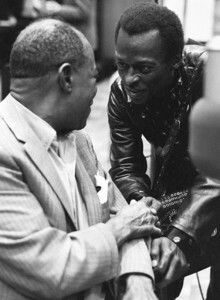 The great example of this is Miles Davis in 1970. He spent a lot of time and did a lot of touring with band that consisted of himself on trumpet, Gary Bartz on sax, Michael Henderson on bass, Keith Jarrett on keys, Jack DeJohnette on drums and Airto on percussion. Although the band had a strong improvised element, the whole thing was beautifully thrown off one night when John McLaughlin joined on electric guitar. Everyone was thrown out of their comfort zone and the thing got even better. So, once again, Gabriel-era Genesis was not a jam band. They composed together for five glorious years (all writing credits were always given to all five members) and their goal upon going in front of an audience was to recreate, as much as possible, the sound on the record. But with all that talent, all that original thinking, all those fancy toys, and all that affinity from years of playing, recording and touring together, I have always wondered, what would it have sounded like if THIS band jammed? What if they just started with some very basic ideas, musical germs, and noodled a bit and jammed and worked on making something from nothing? What would that sound like? 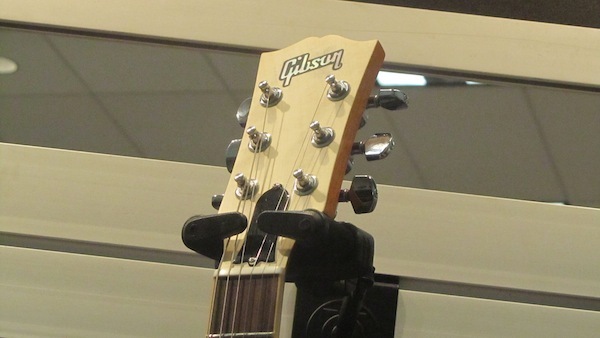 And now I know what it would sound like and it is a beautiful noise. And, in the very near future, I look forward to sharing it with you over at Blogerantz. Who Is Making Those New Brown Clouds? Put a little Frank in yer tank! I’m supposed to be writing a big Complaint to be filed with the Court, but I need a quick break. 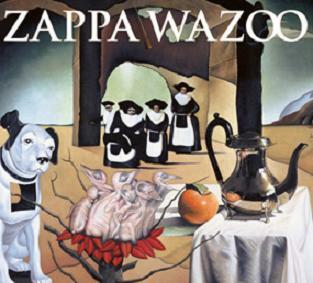 Music is a huge help when I’m writing (or drafting, if you prefer) but the recent release of ‘Wazoo‘ from the Zappa archives is especially challenging release. The title of this post is one of the lines from “The Adventures of Greggery Peccary” – it’s one of Zappa’s movies-for-your-ears and it’s extra crazy. Before this live rendering, he even warns the audience about ‘obstruse’ music. You could say that Frank is telling the world to go shove it up their snoot – he’s gonna play what he goddamn wants to play. I don’t sense any of that anger or obstinance. In fact, he has such love and admiration for his audience that he believes in them and has faith that whatever insanity might be displayed at a given ‘rock’ concert, they will get it because they know what good music is. So, yes, he’s challenging himself to render a complicated piece of studio work as a live performance with a 20-piece band, but he’s also offering something (however difficult it may be for his band) that his audience will not get to experience anywhere else. Is it great music? I don’t know. I’ve heard this live recording a few times, and listened to the studio version a few more times. It’s tough. It’s all over the place. It’s long. It’s chaotic. But Frank invites you in and offers you something special and unique, something on which he’s worked incredibly hard. That attitude toward connecting art and audience is the purpose of creativity. Take his hand. Take the ride. 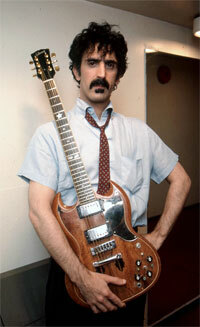 Frank Zappa – USA catching up in appreciation of one of it’s greatest artists? 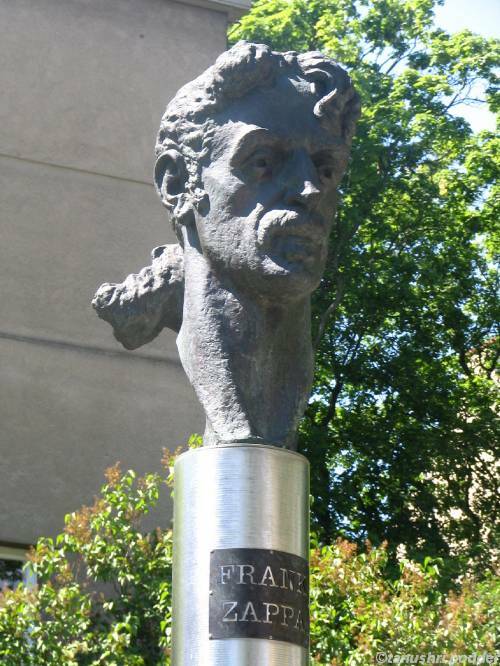 This bust is currently in Lithuania to commemorate the immortal genius of Zappa. Now, someone in these United States of America has finally gotten the idea to honor one of the greatest artists this Country has ever produced. Another version of the above monument will now find a home at Fels Point in Baltimore. Kudos!